"Location, location, location!" Realtors have touted this mantra as the most important aspect when finding a home for years. And home-searchers agree, sacrificing space for prime location. Millennials, who recently emerged as the most influential buyers in the real estate market, opt for smaller living accommodations when said accommodation happens to be smack dab in the center of a urban neighborhood and is surrounded by restaurants, entertainment, a gym and a market (preferably Trader Joes, please). Large cities, such as Atlanta, San Francisco, New York City and Seattle have witnessed this growing trend of less (space) is more and why not? Smaller living spaces mean lower expenses and less maintenance and upkeep, which entices young, on-the-go, professionals. But with much tighter housing, that can legally be a mere 220 square feet, innovative ways to create more space has become a hot topic in the home furnishings market. Below are our favorite multi-purpose furniture pieces and ways to create more space. Fresh's Sleepover Ottoman is one of our favorite pieces! 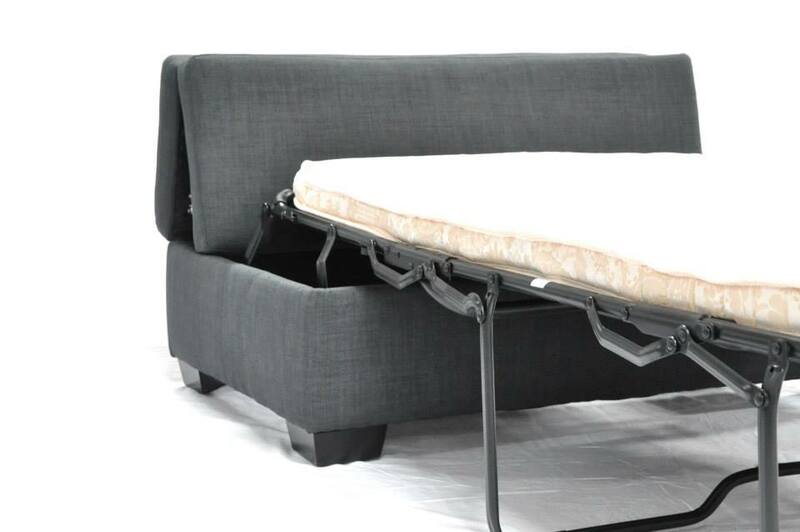 As a modern ottoman that can provide stylish extra seating for guests, it doubles as a pullout bed for a guest that can virtually go anywhere in a home. The most versatile coffee table is an ottoman. It can be a foot rest, a decorative coffee table, and extra storage, which is invaluable when space is limited. The less is more idea can prove difficult, especially when it comes to the kitchen, but with rollaway kitchen carts you can add counter space as needed or roll it away when there are too many cooks in the kitchen. Need a living room or an office to double as a bedroom? Wall beds can fold into the wall to free up space that a static bed consumes. Now that furniture is starting to cater to it, there's no need to fear smaller living spaces!